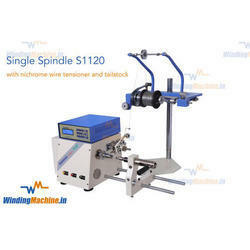 Providing you the best range of smps coil winding machine, speaker coil winding machine up to 150mm coil dia, s2120 solenoid with tailstock winding machine, cooler pump coil winding machine, voice or speaker coil machine and switch coil winding machine with effective & timely delivery. 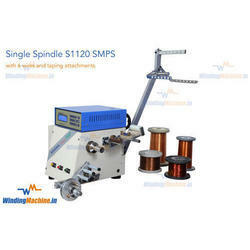 With the help of adroit team, we present an extensive series of SMPS Coil Winding Machine. 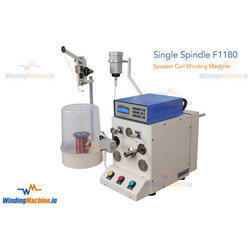 Our products are available in varied specifications that meet on consumer’s demand. 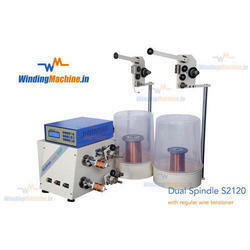 We are involved in delivering a wide series of Voice and Speaker Coils Winding Machine. 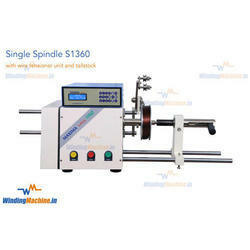 Our presented range is available in diverse specifications that meet on client's demand. 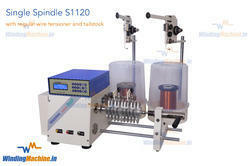 We are involved in providing a varied series of S2120 Solenoid with Tailstock Winding Machine. 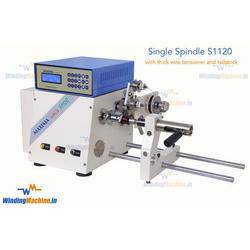 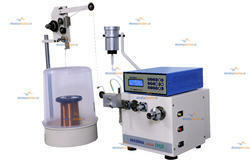 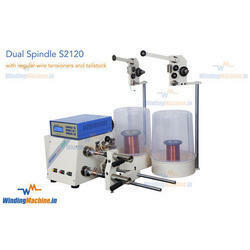 This machine is capable to wind primary as well as secondary winding without removing the coil. 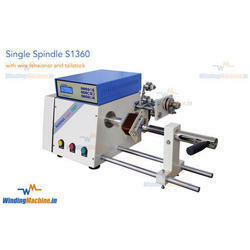 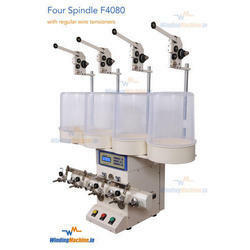 It helps to increase productivity by multiple folds and provides best quality winding.